A stunning, provocative new novel from New York Times bestselling author Marisa Silver, Little Nothing is the story of a girl, scorned for her physical deformity, whose passion and salvation lie in her otherworldly ability to transform herself and the world around her. MARISA SILVER is the author of the novels Little Nothing and Mary Coin, a New York Times bestseller and winner of the Southern California Independent Bookseller’s Award. She is also the author of The God of War (a Los Angeles Times Book Prize finalist); No Direction Home; and two story collections, Alone with You and Babe in Paradise (a New York Times Notable Book and Los Angeles Times Best Book of the Year). Winner of a Guggenheim Fellowship in the Creative Arts, Silver’s short fiction has won the O. Henry Award and been included in The Best American Short Stories, The O. Henry Prize Stories, and other anthologies. She lives in Los Angeles. 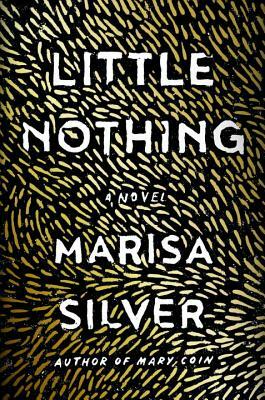 "Marisa Silver’s fourth novel, Little Nothing, is a marvelous book…[it] is steeped in strangeness, but it’s driven by a basic question that frees the best novels and their heroes when the time comes to explore their worlds: What if there’s something else out there?"